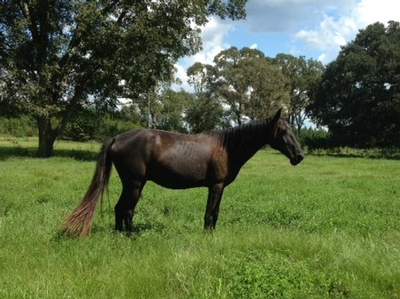 Nice laid back gelding.Been on my farm for five years.Had been started a little by previous owner. Would make a great Lady or kid horse once properly trained.No health problems. I just do not have the time and he needs to go to a good home where he can be used. I have the papers on him somewhere at my farm. If I find , you are welcome to them.